Senso is an Australian brand founded in 1980 creating affordable fashion footwear. Senso shoes are unique, classic and effortless. I have fallen in love with the brand for quite a long time since discovering their brand on Instagram and have been following them ever since. 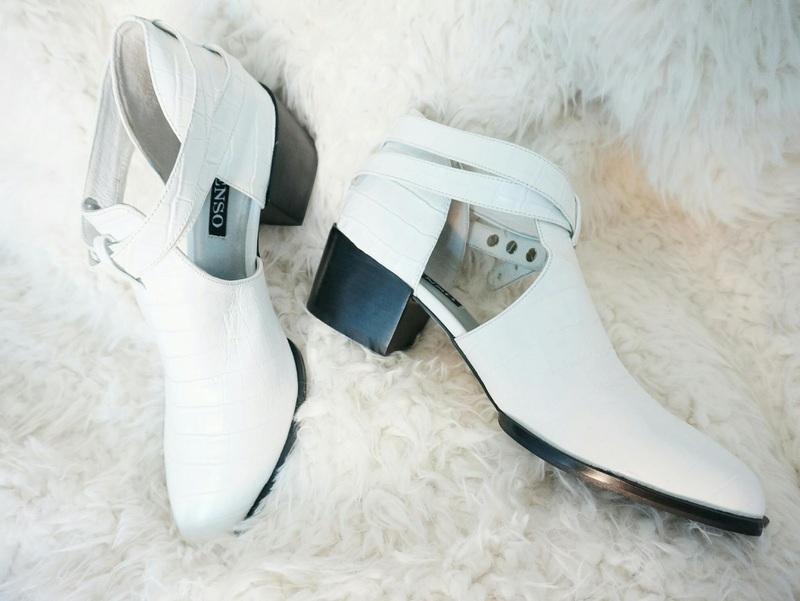 I picked up the Qimat Bootie in Mock Croc White, being a fan of white shoes, I am slowly building up quite a collection, these are something I definitely do not have and I got a really good deal on these. These Qimat Booties has a pointed toe detail, cutout side, multiple straps and a 2" inch comfortable heel. I can not wait to style these in my future blog posts. You can purchase Senso directly from Senso's Website, but there may be custom charges, or a selection is available at Very, Asos and selected departmental stores. Have you purchased something spontaneous recently? Until next time! LOVE those shoes and the pristine white colour!